It is amazing what you see when you open your eyes and take a look around. Now we all know County Councillors John Doddy and John Longdon DON’T reply to emails regarding Stapleford or attend meetings when invited to attend. And we all know County Councillor John Longdon who is also a Stapleford Town Councillor refuses to answer questions when asked regards County Council issues and if an item is placed on the Agenda he walked out the meeting so he can’t answer questions that need to be asked. Neither have attended the Stapleford Traffic and Transport Working Group meeting despite being invited and County Councillor John Doddy has never once attended a Stapleford Community Action Team Meeting, Councillor John Longdon had not attended since April 2015, so as a County Councillor (May 2015) he has only attended the other week and we all know what happened there. 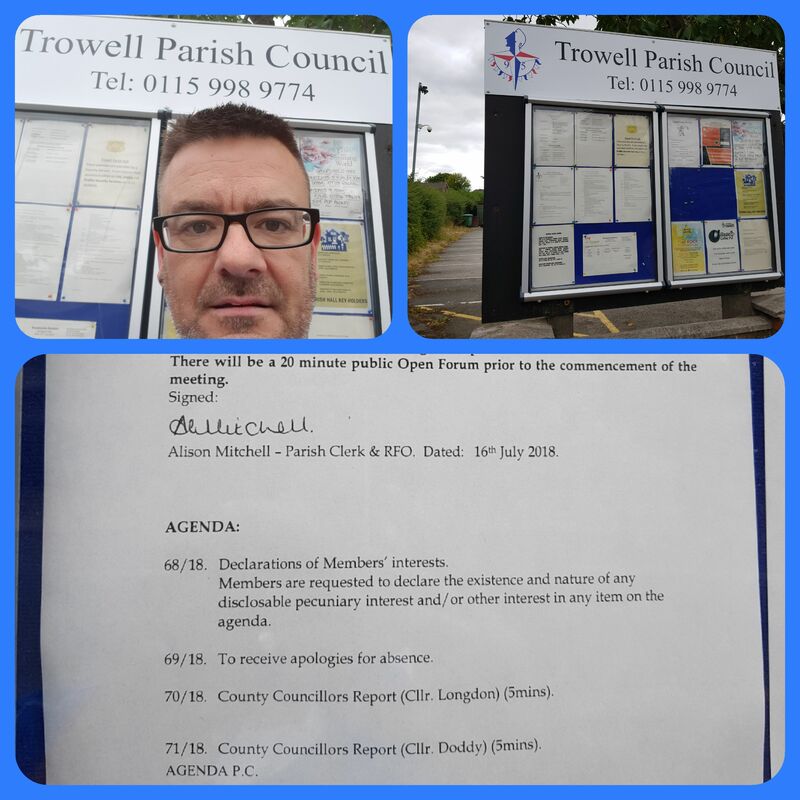 So I find it odd to read on the Agenda for Trowell Council that both Councillors John Doddy and John Longdon have been attending meetings there. Yet despite Stapleford also being an area they were elected to represent they continue to ignore Stapleford. The people of Stapleford deserve much better from elected members. They probably don’t see any votes for them in Stapleford. I understand that they are both Conservatives and Stapleford has tended to vote independent.. If more people voted Conservative in the town they might show more interest. If more people stood as Independent councillors then possibly there wouldn’t be a problem. Although I must say “thank you” to Cllr John Longdon who assisted the 1st Stapleford Scout Group with a recycling problem last week.